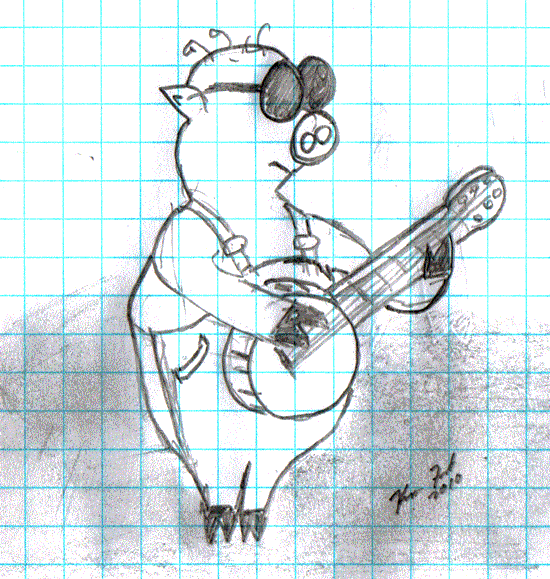 I did it, I submitted a sketch to the Dueling Banjo Pigs website. 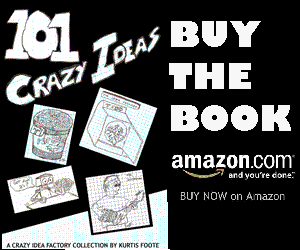 I love the site, it is a crazy idea all by itself with lots of great Banjo Pig cartoons from some really great illustrators and artists. My favorite Banjo pig of all is not a cartoon Banjo Pig it is an Automaton Banjo Pig made by Guy Francis (one of the Dueling Banjo Pig founders). One Comment on "Dueling Banjo Pig"
Nice one Crazy Idea. Good to see it taking pride of place on their front page!